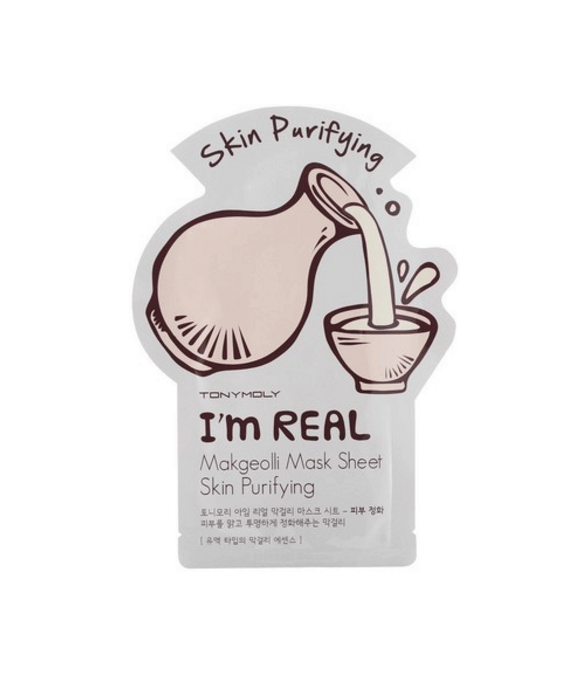 Which TONYMOLY I’m Real Sheet Mask is right for you? 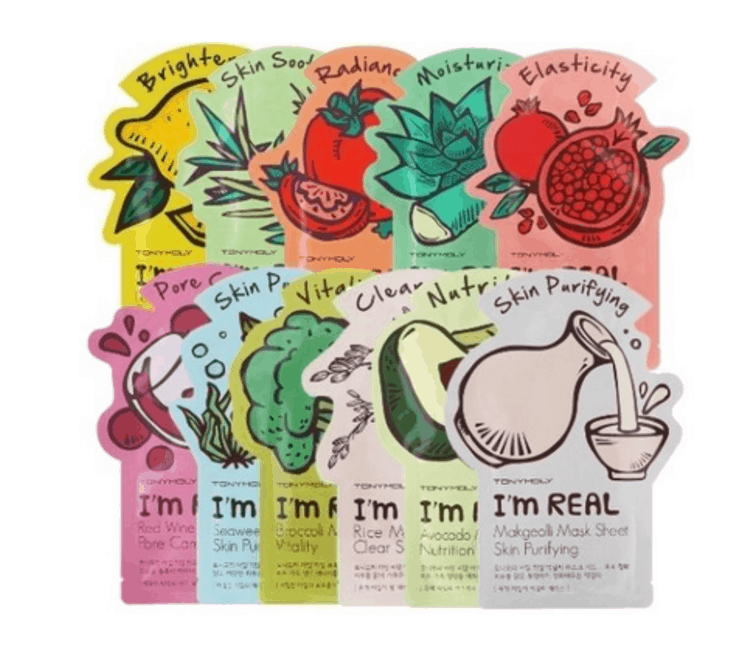 As a regular practitioner of Tuesday goo-day, I’ve worn my fair share of sheet masks, my favorite being the TONYMOLY I’m Real sheet masks. These popular masks are fairly cheap (especially if you buy them in bulk on Amazon – you’re welcome) and readily available, and the packaging is super cute. The only issue – there are 18 mask types available and most of the text on the packaging is in Korean, which can make figuring out which one to try a crapshoot at best. That’s why I’m trying all the TONYMOLY masks for you! I know, I know, I’m a selfless martyr, but I’m willing to take one for the team. A note about my skin: I have sensitive and oily skin with adult acne. I’m prone to breakouts, blackheads, scarring, and redness. Fun! These sheet masks have helped me control my adult acne and redness a lot, and they are gentle enough that they don’t irritate my sensitive skin. 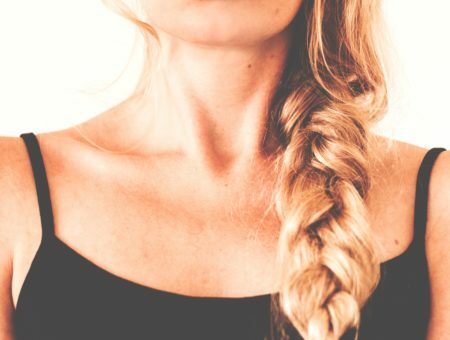 Because all skin is different, your skin may react differently to these products. 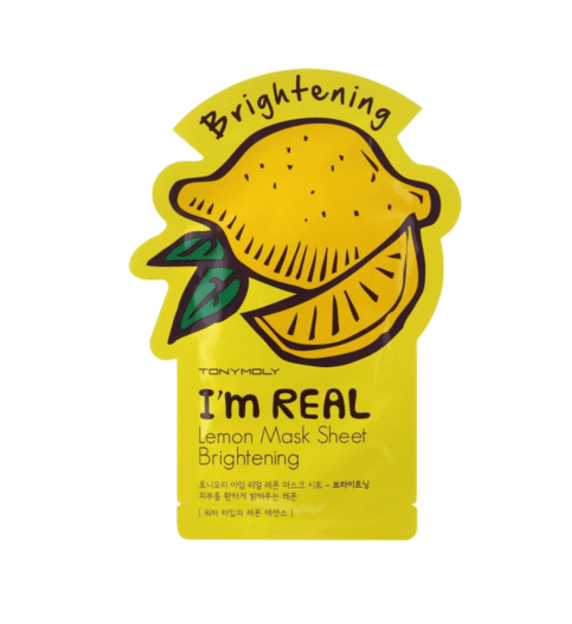 Here are my reviews for the first five of TONYMOLY’s I’m Real masks: Makgeoli, Broccoli, Lemon, Avocado, and Aloe. The first mask I used on this fact-finding adventure was the Skin Purifying Makgeoli mask. Makgeoli is a traditional Korean drink made from fermented rice – it is slightly sweet, slightly alcoholic, and variants of makgeoli are used in ancestral rites in Korea. Makgeoli contains as many probiotic cultures as 100 cups of yogurt, making it excellent for healthy skin and digestion; some Korean women even apply makgeoli directly to their skin. The mask’s packaging promises the “Makgeoli mask makes uneven skin tone look radiant and glowing,” which sounded perfect for me at the moment because I was getting over a hormonal breakout with big, red pimples on my chin and forehead. The serum for this mask is milky, opaque, and vaguely sweet-smelling, but also sort of medicinal. Even today, I can’t place what the scent reminded me of – maybe a medicine I took as a child? When I applied the mask, it was cooling and tingly, but my skin was also broken in some places, so that could have been why. 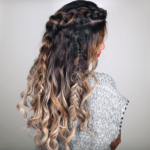 The next morning, my skin looked less red and my skin tone was more even, but I didn’t notice any decrease in the size of my breakouts. I enjoyed using the makgeoli mask and I will definitely use it again when my skin is somewhat behaving to help with my acne scars, but probably not for a breakout again. 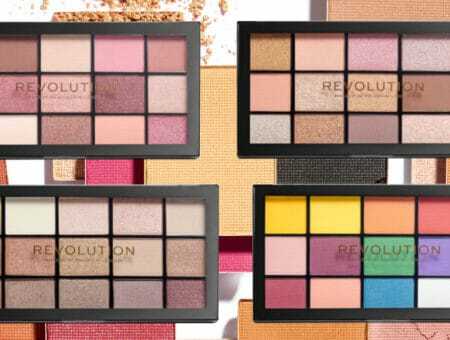 This would be great for anyone with ~regular~ skin or an uneven skin tone. 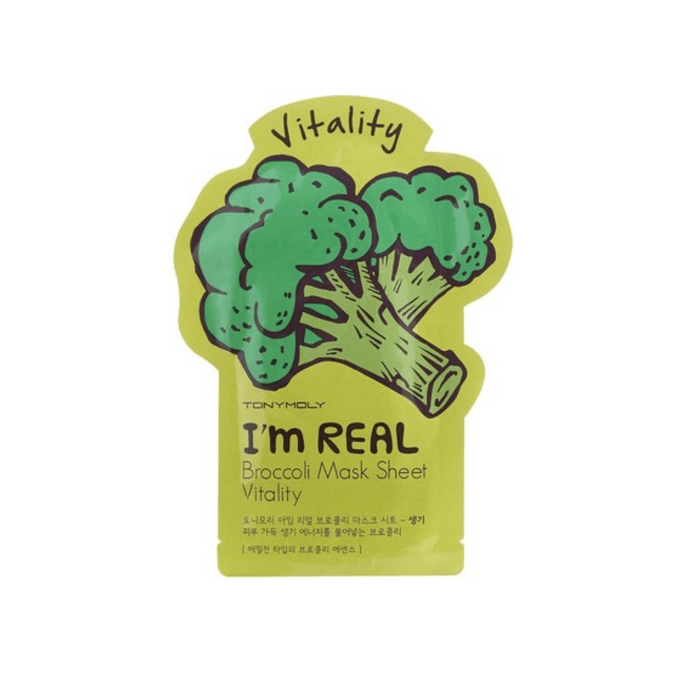 The next mask I chose was the Vitality Broccoli mask. It was a Sunday and I was hungover af from a party the previous night and my skin was looking dull, red, and still a little broken out. The vitality mask promises “vitalizing energy to tired skin,” which made me hope it would be like a big buddha bowl of green veggies, but for my FACE. There was no obvious vegetal smell to this mask – it was actually a touch skin care-y, if that makes sense. I was scared it was going to smell like roast broccoli, which not something I particularly wanted to smell like? The serum was clear and more watery, and there seemed to be more of it than the last mask. I applied the extra to my face, neck, and shoulders once I was done. It was a little tingly but not unpleasant. I kept this mask on for longer than the 20 minutes recommended – basically until the serum dried and the mask wouldn’t stay on my face, which is generally how long I keep sheet masks on. Afterwards, my skin tone was more even and looked plumper and more moisturized. It worked perfectly for my hungover skin, so I’d recommend this mask for ladies with dull skin or days when you need a little extra something. Up next was the Brightening Lemon mask. Honestly, the lemon mask is one of my favs of the bunch. I’m normally not a fan of lemon-y products – they tend to smell either too sherberty or cleaner-y, but the lemon mask smells like neither – just a pleasant lemon scent. 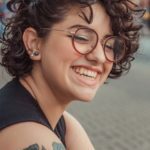 I applied this mask when my skin was fairly clear and behaving to get a little scar fading going on – my cheeks are covered in red spots from years of pimples and picking, so I’ll take any scar fading action I can get. The one thing I noticed about this mask is the serum is tackier than any of the other serums. It took a little longer to dry and left more of a residue than the others. That being said, it’s one of my favorites for a reason. Immediately after using this my skin looked brighter and less red, and my acne scars were less noticeable. Jury’s still out on whether this does any lasting work on fading scars, though – I felt they were noticeable again a couple of days after using the mask. I don’t remember when I started buying TONYMOLY masks in bulk, but I always end up with like, five Nutrition Avocado masks that I end up giving to my friends with dry skin – it just doesn’t do a lot for my skin. They are super moisturizing, and often leave me feeling greasy afterwards. On this particular day, though, my skin really needed the extra moisture. It had been suuuuper windy for the last week or so and my skin was starting to chap and flake around my nose and mouth. You win, wind. Avocado mask it is. The avocado mask promises to make “dull skin look radiant and glowing,” which may sound slightly familiar to those of you paying attention – it’s almost word for word the description for the makgeoli mask. I was really surprised by the similarities – it smelled very close to the makgeoli mask and did not smell like avocado at all. The serum was as opaque, but a little bit thicker and oilier than the makgeoli serum. And man, did I have a better experience with this mask this time around. It didn’t immediately heal up my chapped patches, but they stopped hurting and peeling, which I’m sure helped them heal faster. And the extra redness from the wind was gone – I hadn’t even noticed that my skin had been extra red all week. I’m still not going to use this mask as regularly as the other masks, but I will keep one or two around for extra dry days rather than giving them all away. With the success of the avocado mask, I decided to try out another mask I had been avoiding – the Moisturizing Aloe mask. I avoid the HECK out of anything with the term “moisturizing” in it because my skin is so prone to breakouts; I know that moisturizing actually helps to prevent breakouts, but I also know products created for dry skin tend to break out my skin. But if the avocado mask can help with my chapped skin and redness, maybe the aloe mask would, too. The aloe’s serum smells a bit like its name indicates – sweet and a touch medicinal. I expected the serum to be oily, sort of like the avocado serum, but it was more watery – the wateriest of the serums, in fact. While some of the masks tingled while I wore them, this mask felt incredibly cooling. It was really relaxing to wear, especially since it was a bit hot that day. Even though it was billed as moisturizing, I didn’t think it was as quenching as the avocado mask, but it did wonders for reducing redness. This one is definitely going into the rotation. 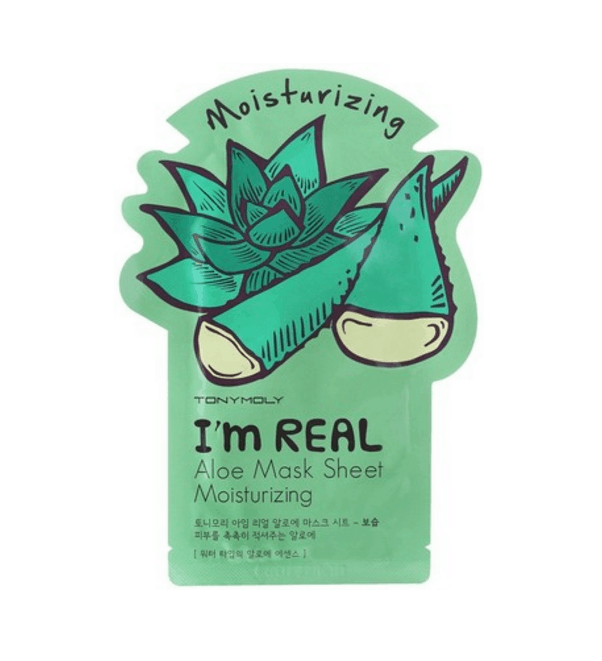 Are you a fan of TONYMOLY sheet masks? Which one is your favorite? Are you excited for me to review the next round? Let me know in the comments below!